This recipe can be found here. It can also be found on page 26 of the November/December 2009 issue of Taste of Home Simple & Delicious. I really enjoyed this as a different way to make ham. Cut the ham steak in half. 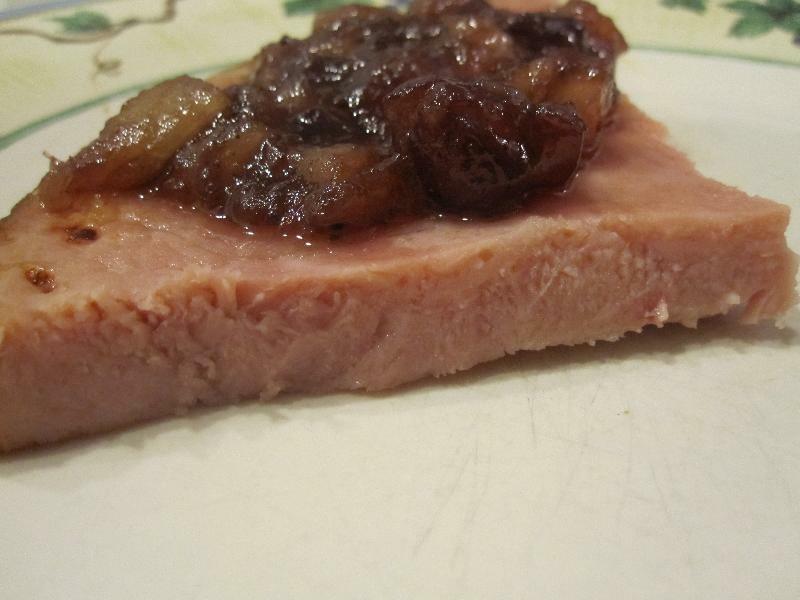 In a large skillet over medium heat, cook the ham in oil for 3-5 minutes on each side or until heated through. Meanwhile, in a small saucepan, mash the cranberry sauce; stir in the remaining ingredients. Bring the mixture to a boil; cook and stir for 3-5 minutes or until slightly thickened. Serve with ham.